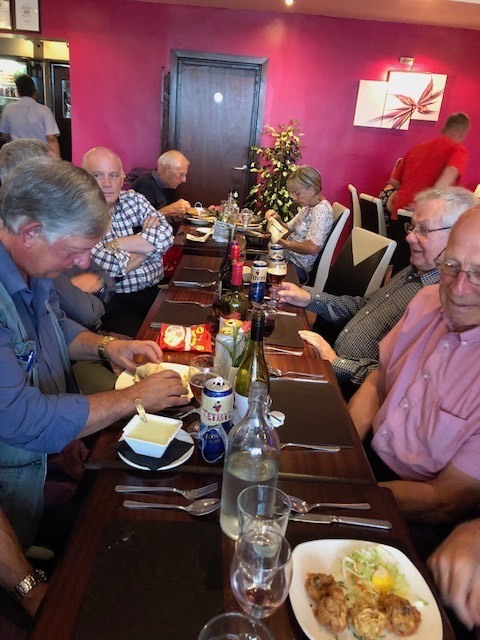 W Bro Rob Foster (Tour Director) organised a curry evening for the 18th July at the Millennium Balti, which was attended by the President RW Bro Barry Cooper and a further 12 Brethren. 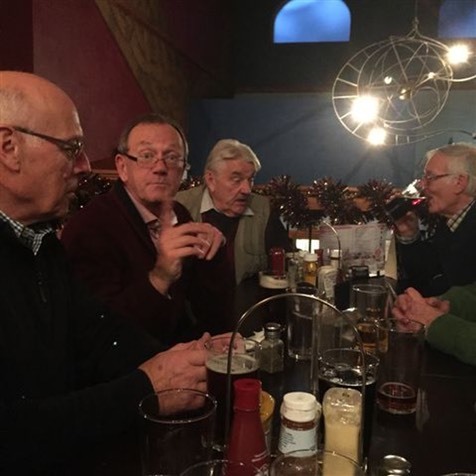 A most enjoyable evening was had with good friends, good food and plenty of banter. 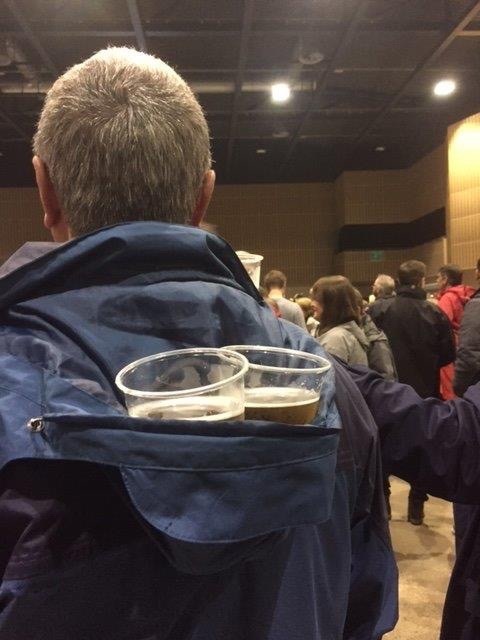 We are all looking forward to the start of the coming touring season (Bob). 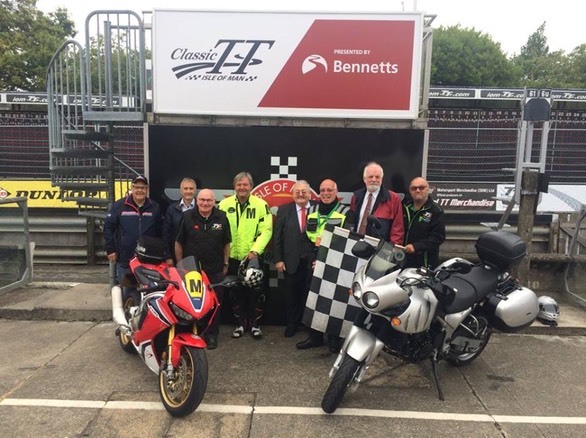 W Bro Brian Phillips P.Prov.G.Swd.B has yet again been let loose on the Triumph Tiger to raise funds for the 2022 Festival, Brian visited the Isle of Man, Isle of Skye, Anglesey and the Isle of White over an eight day period and covering in excess of 1,800 miles. 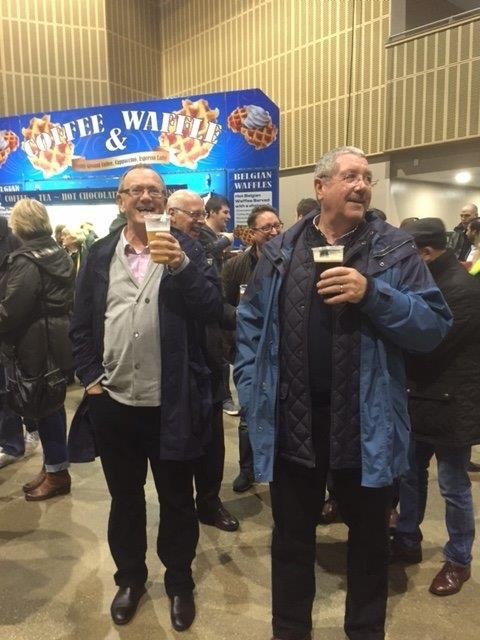 The members of Lechmere Volunteer Lodge No 1874, and the RWPGM W Bro R C Vaughan would like to thank Brian for his fund raising efforts and a special thanks to those Brethren from the locations visited, some of which are listed below for their hospitality and generous donations towards the 2022 Festival. 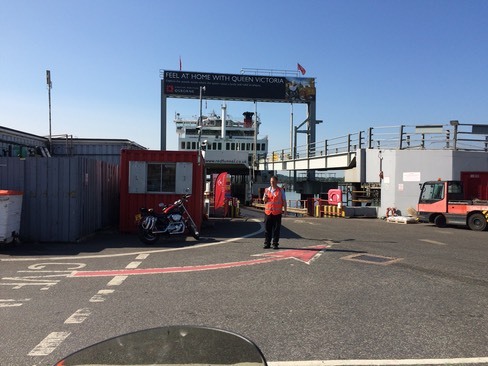 Brian set off on a sunny Monday morning heading for the Isle of Man where he intended to spend a couple of days riding around the IoM TT Circuit before heading off to his next stop. 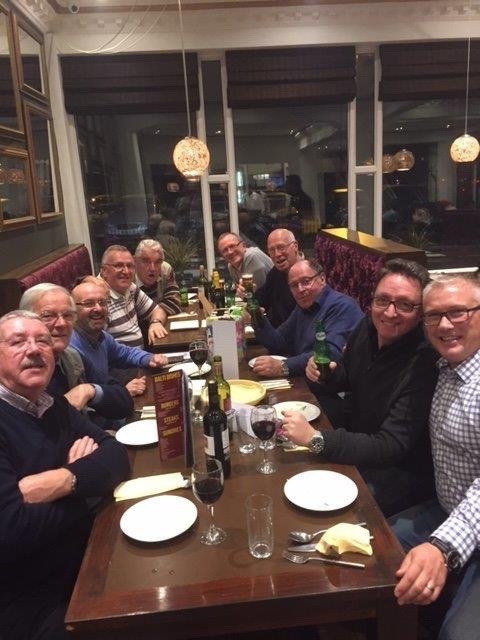 Fortunately that didn’t happen as he was Royally treated by the RWPGM W Bro Keith Dalrymple, the Deputy PGM W Bro Alex Downey OBE and other members of the IoM Freemasons. 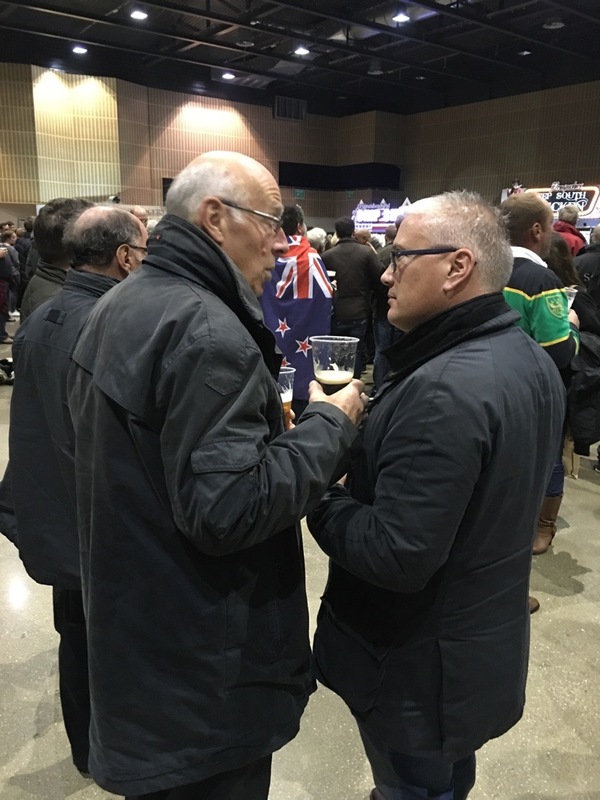 Much of Brian's time on the Isle of Man had been co-ordinated by the RWPGM W Bro Keith Dalrymple. During his stay Brian was also presented with a cheque for £1,000 and a 1st cover collection of stamps depicting 300 years of Freemasonry, complete with the PGM’s signature (below). Brian was also presented with a number of first day stamp collections, which will probably be auctioned to raise further funds for the 2022 Appeal. 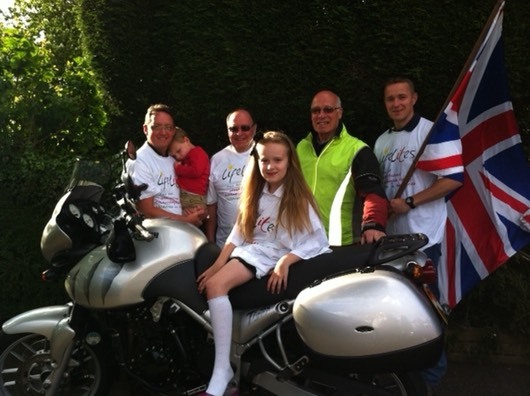 L-R Alex Downey OBE, Maxine, Brian Phillips and Keith Dalrymple. 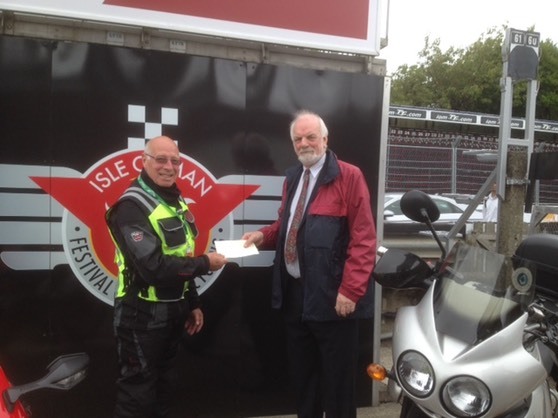 The picture (right) shows Brian gratefully receiving a cheque for £50.00 from the W.M of the Tourist Trophy Lodge No 9782 W Bro John Lyons. Brian with some of the members of the Tourist Trophy Lodge No 9782 of the IoM. L to R Founding Secretary, W.Bro Fred Adlem PPGSuptWks, IPM W.Bro Derek Peters, VW Bro Alex Downie OBE PDPGM, IOMTT Travelling Marshall Bro Jim Hunter, W.Bro Allan Fielding, W.Bro John Lyons PPGSuptWks, IOM Start/Finish Flag Marshall W.Bro Paul Kermode PPGSwdB. 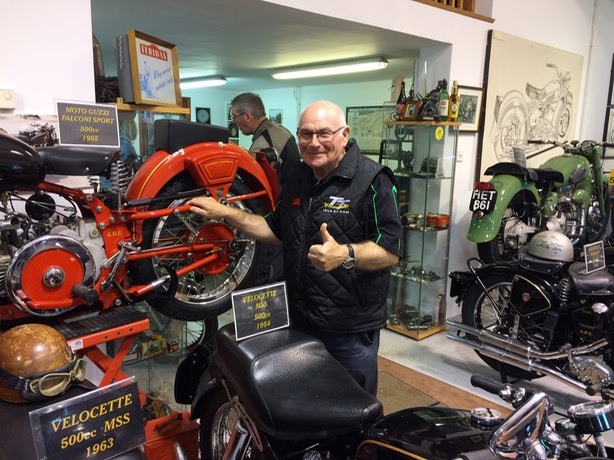 Brian also visited the IoM Classic Bike Collection where he was given a guided tour and the owner of the collection made a donation to the 2022 Festival appeal. Brian did complete a couple of laps of the TT circuit but assures me that the lap record of 133.962 mph held by Michael Dunlop remains intact. 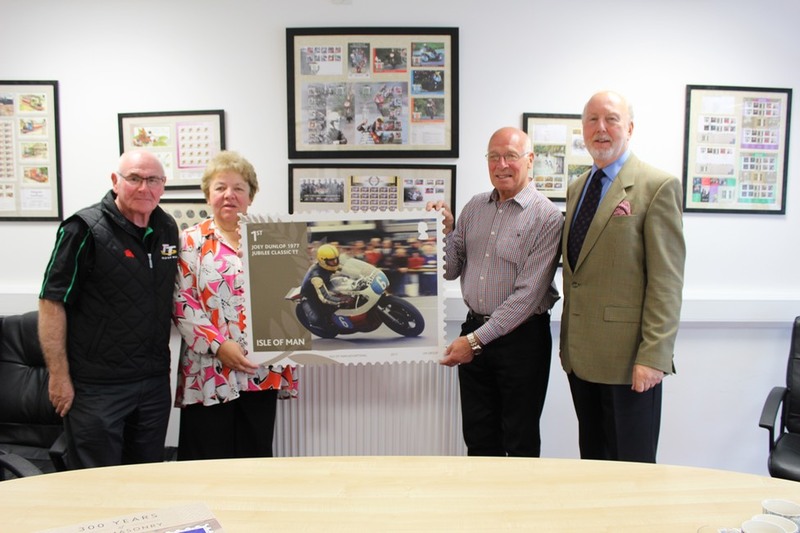 Alex Downey OBE (right) at the IoM Classic Bike collection. 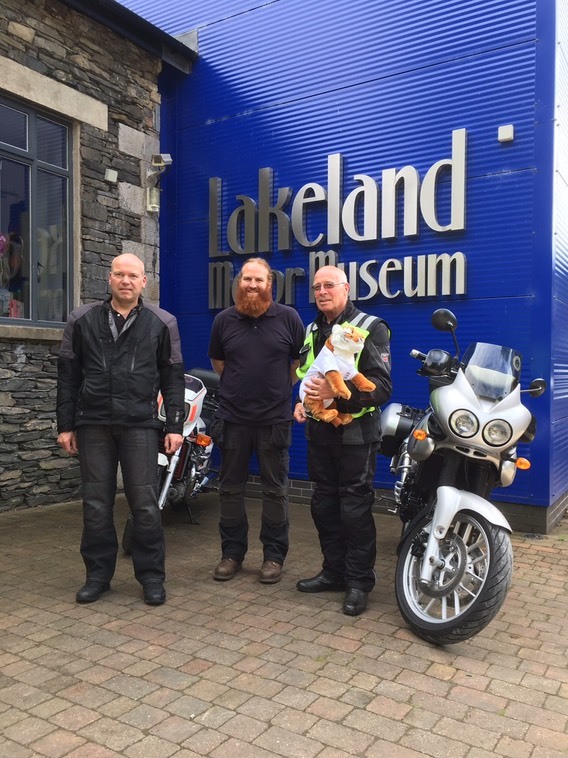 On his return trip from the Isle of Man, Brian stopped at Cumberland and Westmorland, and visited the Lakeland Motor Museum (arranged by the DPGM Bro William Bewley) where he met the Manager of the Museum Chris Lowe and W Bro Andrew Moores PAGDC. Brian received a donation to the Festival Appeal, a Souvenir Guide Book of the Museum, a voucher for the Windermere Lake Cruises (2 adults and 3 children 24hrs unlimited travel) and a voucher for Lakeland Motor Museum (2 adults and 3 children). L-R W Bro Andrew Moore PAGDC, Chris Lowe and Brian. 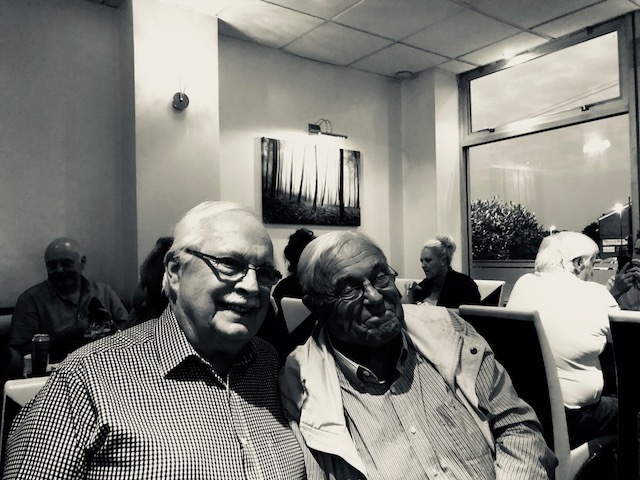 On his visit to Anglesey Brian met W Bro Alwyn Ellis and W Bro Grahame Sutherland, the meeting was arranged by the RWPGM of North Wales W Bro Leuan Redvers who unfortunately was unable to be present. 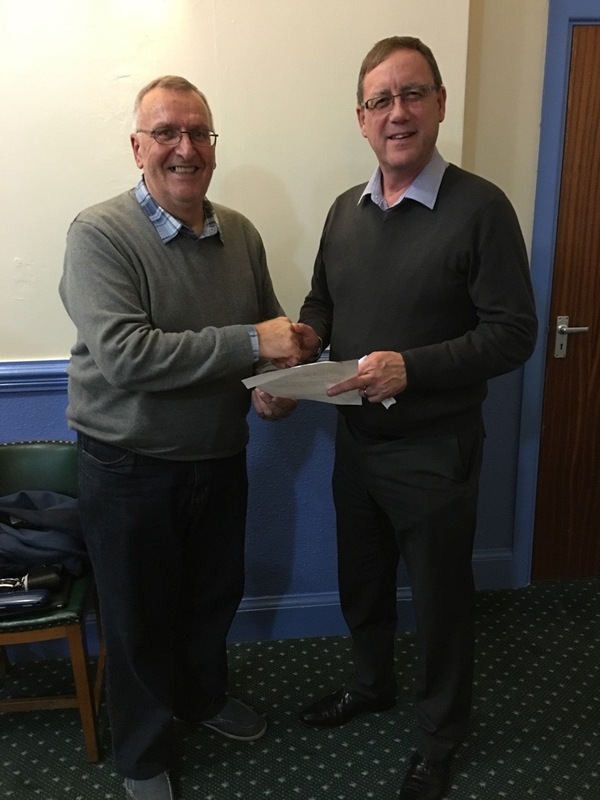 Brian received £50 towards the 2022 Festival from the W.M. of the Anglesey Lodge No 1113 W Bro an Fearnley. 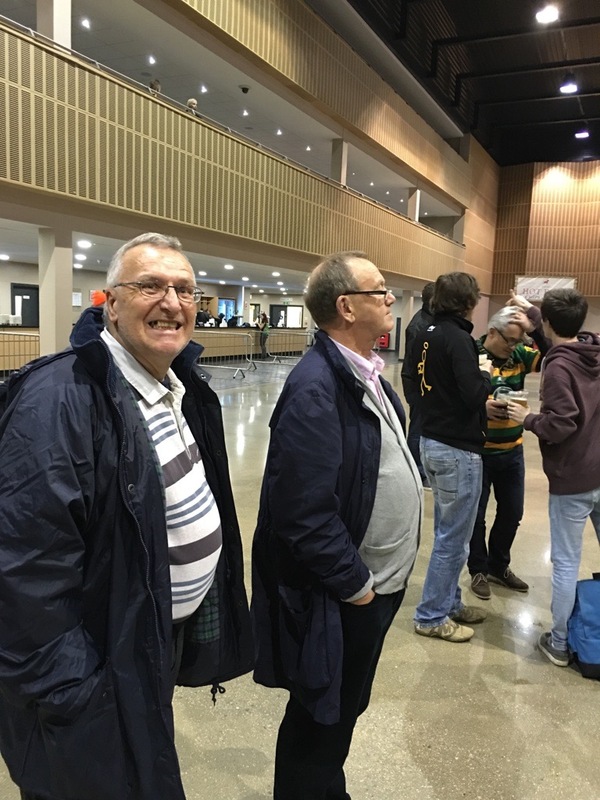 Brian is seen here with W Bro Alwyn Ellis (right). 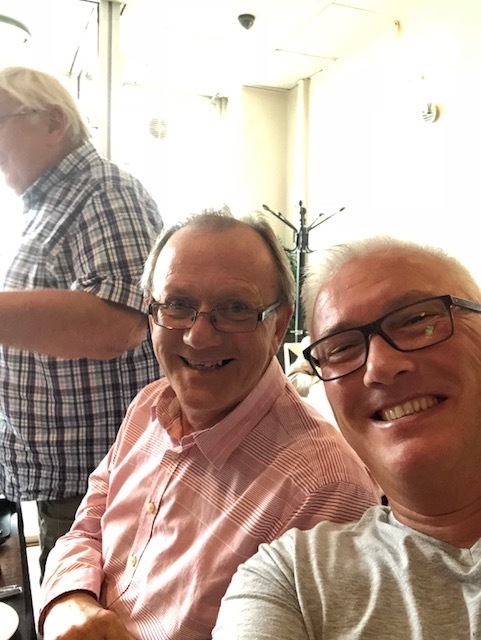 A fleeting vist was made to the Isle of Wight where the RWPGM W Bro Michael Wilkes had arranged for members of local Lodges to give Brian a guided tour of the ice cream parlours and wonderful beaches. Brian would like to thank him and W Bro Steve Marsh Sandown Lodge No 1869, W Bro Dave Honey (nickname Dodgy Dave, don’t ask) Yarborough Lodge No 551 and Bro Tim Bulcher Vectensian Lodge No 7852 who escorted Brian on their Harley Davidson's Brian would like to thank them for their assistance and donation towards the 2022 Festival. By this time Brian was keen to get home before his wife forgot who he was. 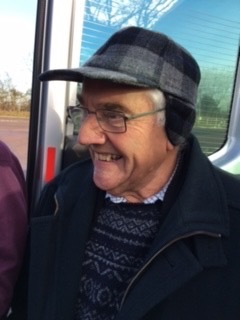 Saturday 4th February saw our trusted chauffeur David Thomas collecting the hire van and doing the rounds picking up the band of brothers at various locations across the West Midlands and Worcestershire. By 09:30 hours we were on the M5 heading South to our first destination at Strensham Services for Bacon rolls, Champagne and Brandy and some very tasty Samosa’s supplied by Raj Shroff (AKA John Lewis). On arrival we were unloaded near to the Harvester while Dave and Trevor parked the van at the local Bus Park just a short walk away and headed to the Harvester to meet the group. Although it was only lunchtime some appeared to be the worse for wear (JCB). 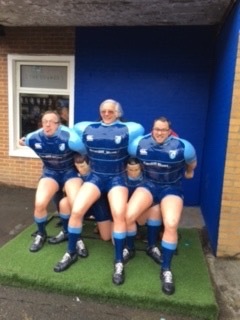 After leaving the Harvester we regrouped before heading to the ground where John Lewis proceeded to make friends with the locals while Rob, Roy and Leon decided to get some practice in just in case they were called on. 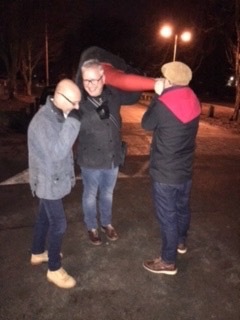 After a good day out and a win for Worcester Warriors it was time to head back to the coach, some of the guys managed to find a traditional Welsh musical instrument known locally as a Welsh Horn and used for calling the sheep. 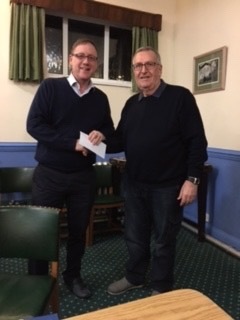 At the Past Masters and Officers meeting Dave Thomas was able to present a cheque for £50 for the Almoners fund which was raised from the Rugby day. Happy have we met, happy may we part, happy meet again. 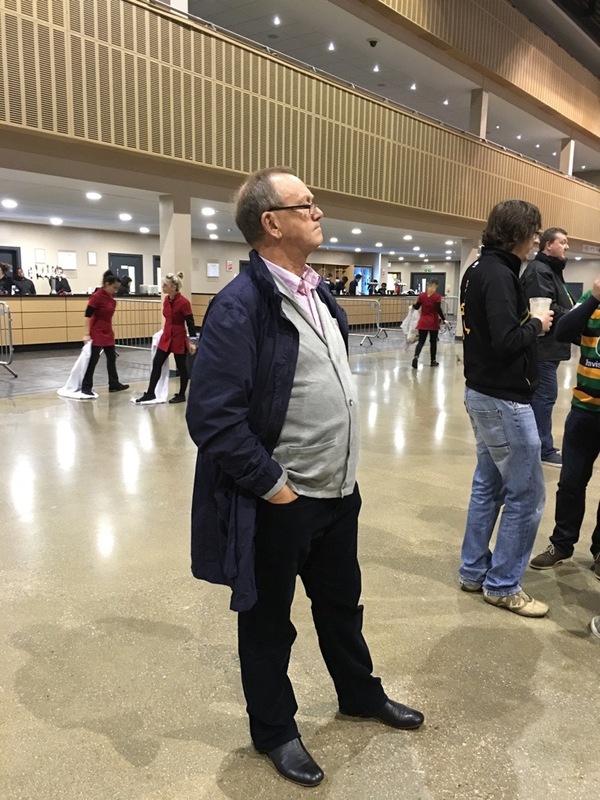 24th October 2015 at 06:30 Dave Thomas pulled himself out of his pit, showered and dressed and went outside for the start of another fantastic day. He checked his co-pilot AKA Bob Foster to see if Lynn had dressed him correctly (looking at the pitcures she hand not) then they were off. Roy Harris, Charles Gwynn and Trevor Dean, back to Redditch to get Bill and then to pick up a rowdy lot from Hollywood (not the USA). There we collected Bryan Phillips, Dave Phillips AKA noisy, Richard Phillips, son of noisy, Dean Spencer and John Lewis AKA Raj Shroff. 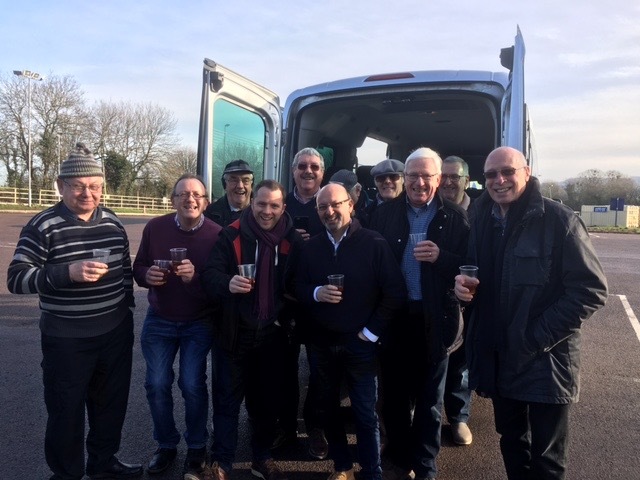 After a seeminglesly endless journey we arrived in Henley in Arden, where we all doffed our caps and Raymond Rooke joined us, pork pie and pickles in hand. Another hours drive through the Stratford countryside and we arrived for breakfast (somewhere). 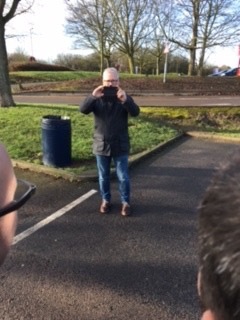 An hour later and we hit the M42 Southbound headed for the MK Dons stadium, there are some really nice roundabouts in Milton Keynes, unfortunately we didnt see them but we saw the same ones several times (no disrespect Dave). Finally we arrived at the stadium rather tired and thirsty. 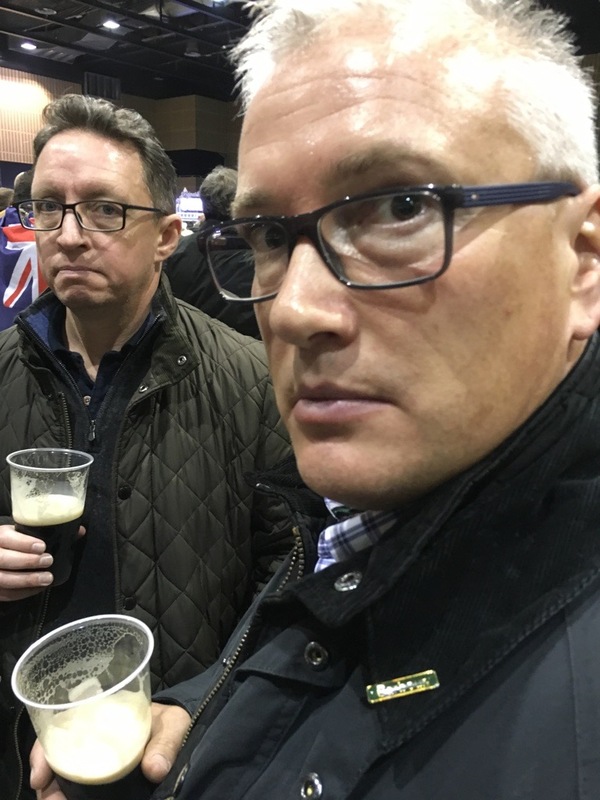 For some reason known only to Noisy we did a tour of the bars (not purchasing any alcohol) until we returned to the first bar and decided to partake of the beverages on offer. 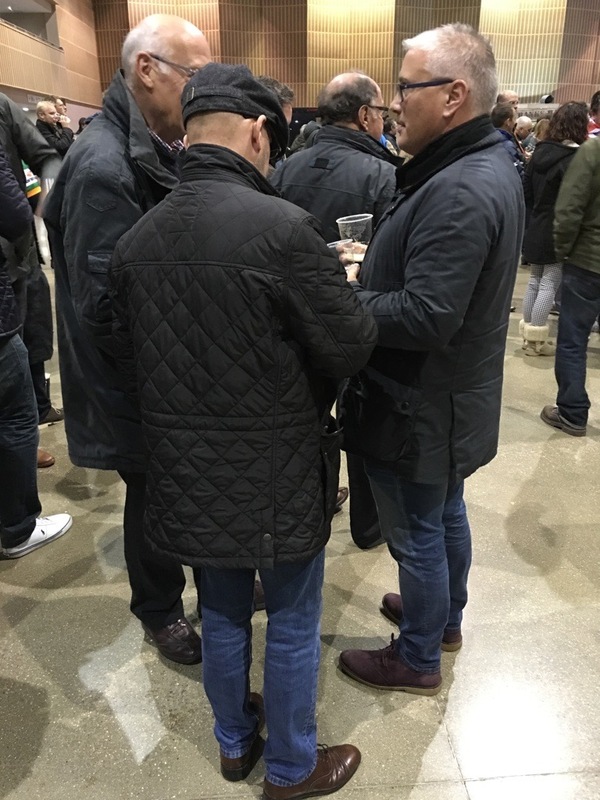 We took our very comfortable seats and waited patiently for the kick off, which the teams duly obliged and saw a really good game of Rugby intersperced with trips to the nearset bar followed by trips to the nearest urinal and no I wasnt the first. After the game we assembled near to the bar inside to watch on the the quarter final matches of the World Cup before heading out to those dreaded roundabouts, we dropped Raymond off and then headed for the bright lights of Birmingham, Ladypool Road actually where we partook of a very nice curry together with a few more beverages before dropping people off in reverse order or something like that. 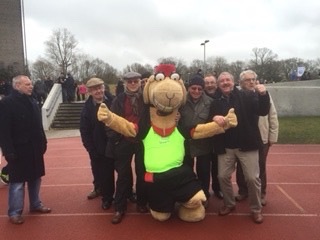 We all had a fantastic day and managed to raise some funds for the Almoner which was handed over at the last officers meeting. 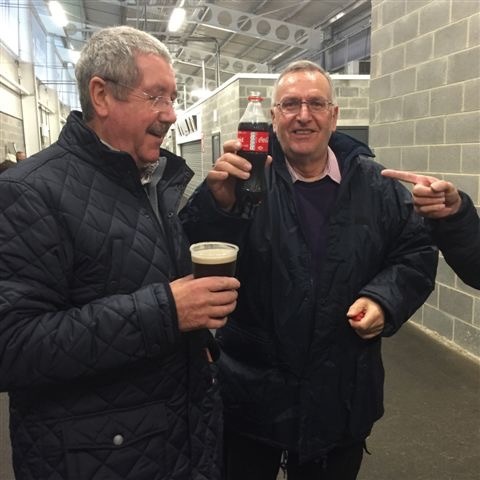 We had a raffle to see who could guess the aggregate score of the match and this was won by Noisy who duly added it to the collection (bless him). 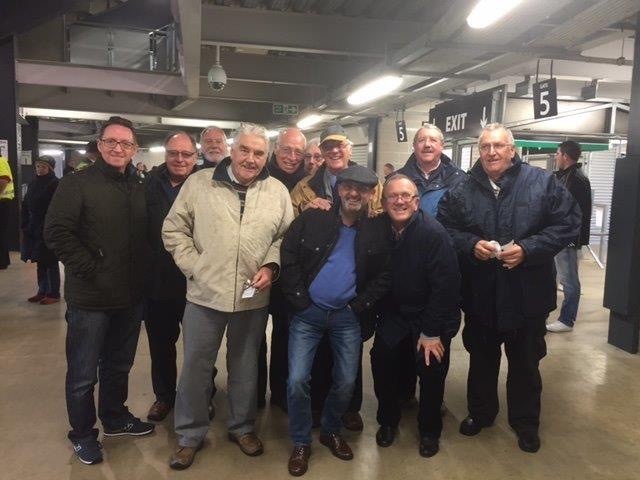 Thanks to Dave for driving and Bob once again for organising, the next one is likely to be February. 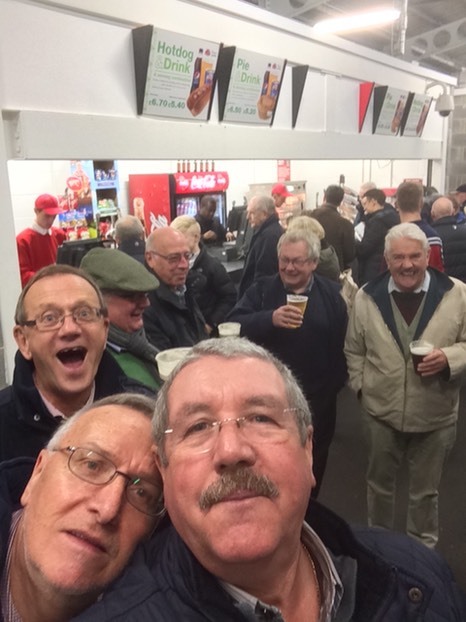 Once again Bob Foster and Dave Thomas put together an excellent programme of events when we travelled to see Saracens narrowly beat Newcastle Falcons on a cold and wet Saturday 27th February. 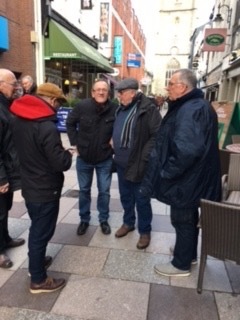 Following the pick up at (or near) the home address of the group, with the exception of Raymond Rooke who was unfortunately unwell (we wish him all the best, and thank him for the pie) but could you pay for it next time Raymond? Our first stop was the Warwick Services where we had a breakfast of sausage and cheese and bacon and cheese oatcakes, a Stokey delicacy. 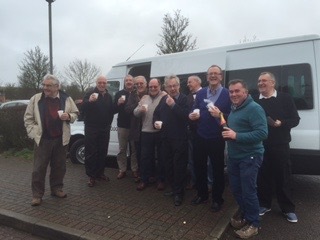 We were also treated to champagne and brandy as you can see from the photographs. 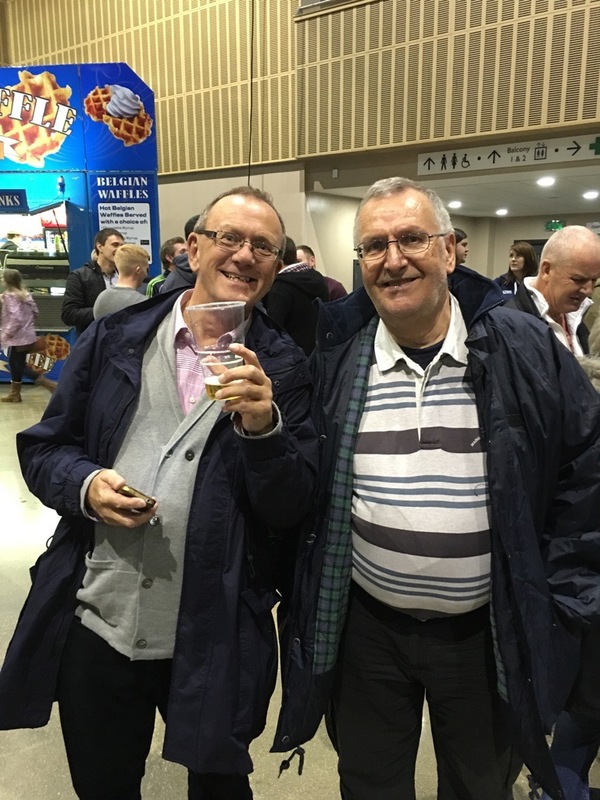 It would appear the Roy Harris has perfected holding the champagne holder in his mouth without talking and even pursuaded Dave Phillips (AKA Noisy) to give it a try. 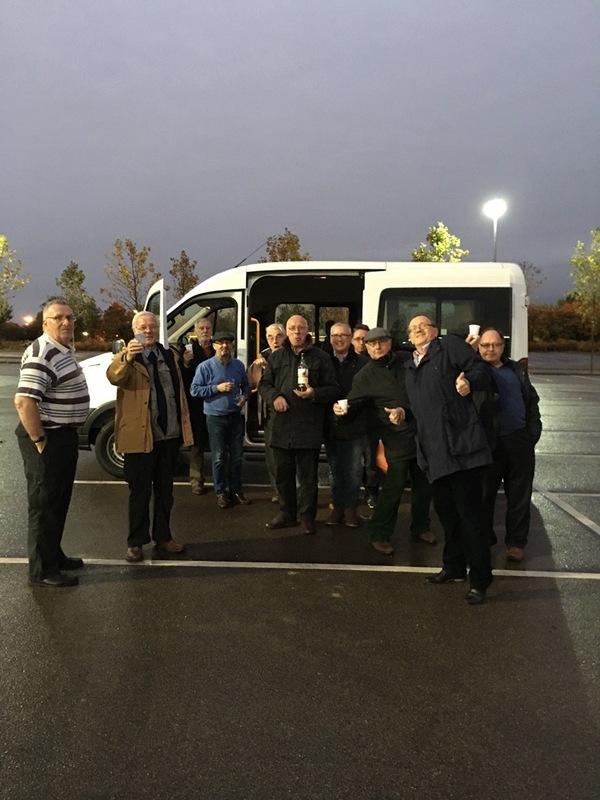 Following the journey down the M40 and around the M25 we arrived at our next stop which was the Harvester at Muswell Hill where we had further refreshments of ale and food. 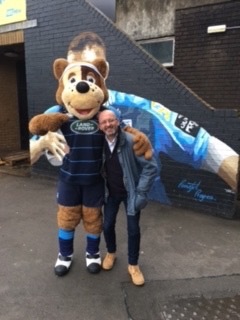 The drive to Allianz Park was short and uneventful as we were all as full as a butchers dog and ready for either a lie down or another beer, as it turned out we had another beer after we celebrated our arrival with the mascot. 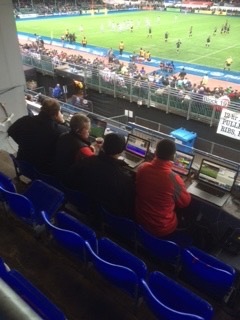 The match was very close with the Falcons taking an early lead but at the start of the second half Saracens took the lead and the Falcons could not improve their game enough to take the lead, some of us watched the match from the stands and directly behind the Falcons Director of Rugby, Dean Richards. 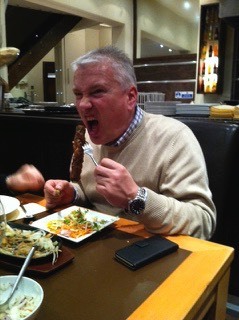 After a few more beers at the ground we headed North and back up the M40 for our next and final stop prior to the end of the evening, this was at Dawatts where we had an excellent curry with a glass or two of wine, as you can see from Dean’s enthusiastic attack on his starter he was well hungry by now. Following our meal Dave very kindly dropped each one of us off at our homes where we did not have far to stagger. 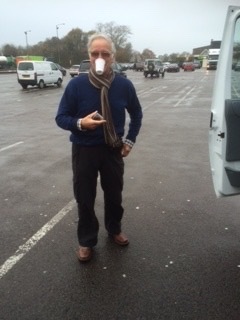 Thanks Dave for all the driving, collecting, cleaning and returning the van. 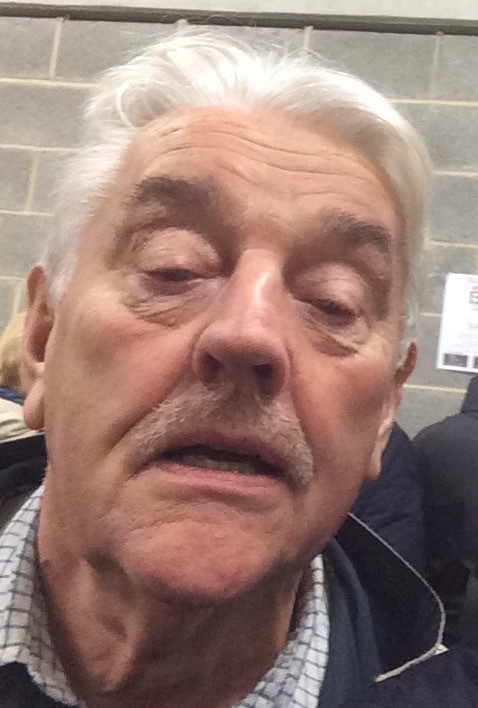 Thanks also to Rob for organising the event, the itnierary, getting the tickets and booking the Harvester and Dawats. 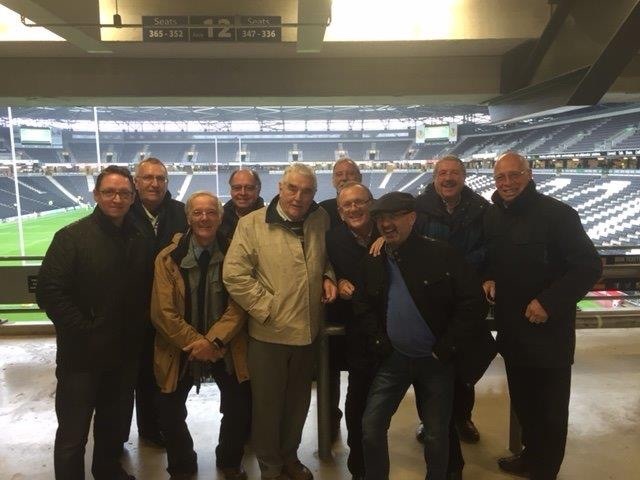 On a cold and wet Saturday morning Dave Thomas kicked the minibus into life and after collecting Bob Foster who lives opposite Dave, proceded to pick up the following members of Lechmere Volunteer Lodge for their away trip to see Sale sharks and London Irish. 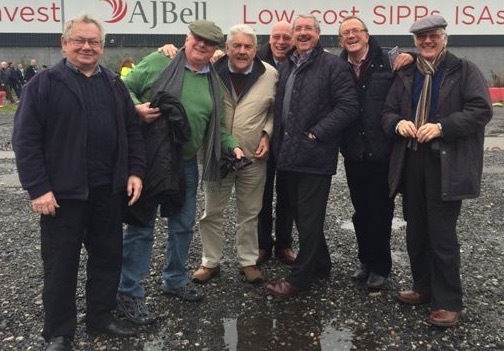 Roy Harris, Raymond Rooke, Brian Phillips, Dean Spencer, Trevor Dean, Charles Gwynn and John Pedley. After travelling for an hour the fist stop was Keele service area where we took on refreshments and no it isn’t Roy doing an impersonation of Jimmy Durante, he needed to put his cup of Champagne somewhere while he took some photographs, would the person who asked him a question while he was taking the photographs please refrain in the future as it was a waste of good champagne when Roy attempted to respond agh!!! Finally inside we decided that it was time for more refreshments and photographs before the much anticipated kick off at 12:00 hours. I thought Brian was missing his brother (Noisy) but it doesnt look like it. 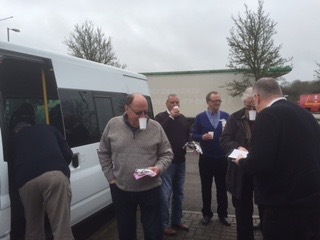 Thanks must go to Dave Thomas our very capable driver again, well done Dave. 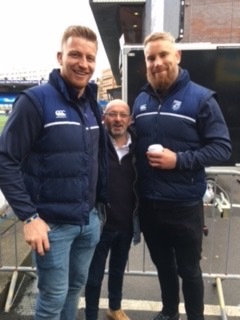 The game was won by Sale Sharks 36 to London Irish 8. 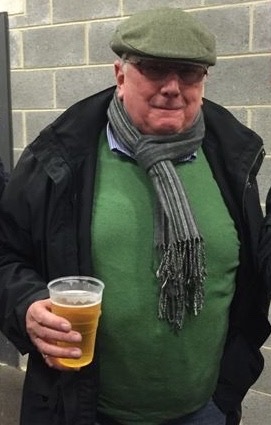 After the game at a pub somewhere near to Sale, I’m not sure if Bob is saying be quiet or what, thanks for organising the day Bob, you’re a star. 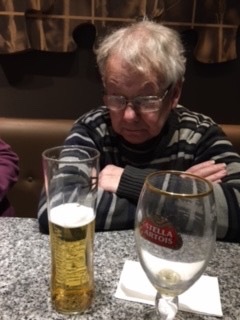 Brian looks a little pensive, I think he was missing his brother (noisy).The day raised £40 for the Almoners fund, looking forward to the next day out in February 2015. And while we were all in a state of drunken euphoria, Charles Gwynn who had grown a moustache for Movember managed to prise £120 out of us for the mens health campaign (prostrate cancer, testicualr cancer and mental health).Charles reckons he had grown a moustache as you can see below but as we were only half way through the month I suppose its not too bad? Well done Charles. 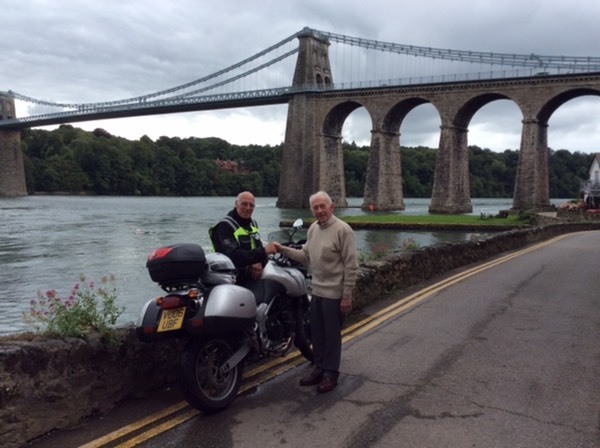 W. Brother Brian Phillips will be undertaking a road trip on his Triumph Tiger motorcycle, circumnavigating the UK in an effort to raise £2,000.00 for the lifelites charity. 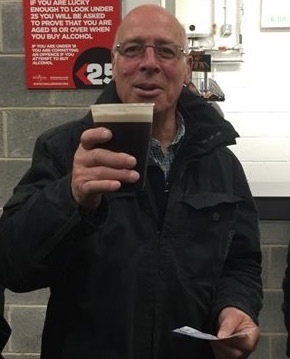 Please support Brian by going to the Just Giving web site and leaving your donation which will be sent immediately to the liflites charity and as a tax payer the donation is gift aided, which makes a tremendous difference. 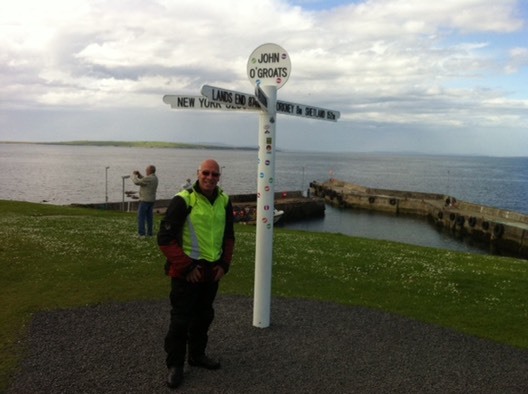 Brian at John O’Groats, wonder who took the photograph? 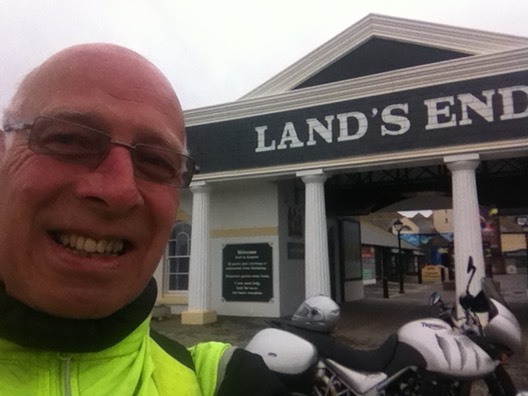 A selfy at Lands End? 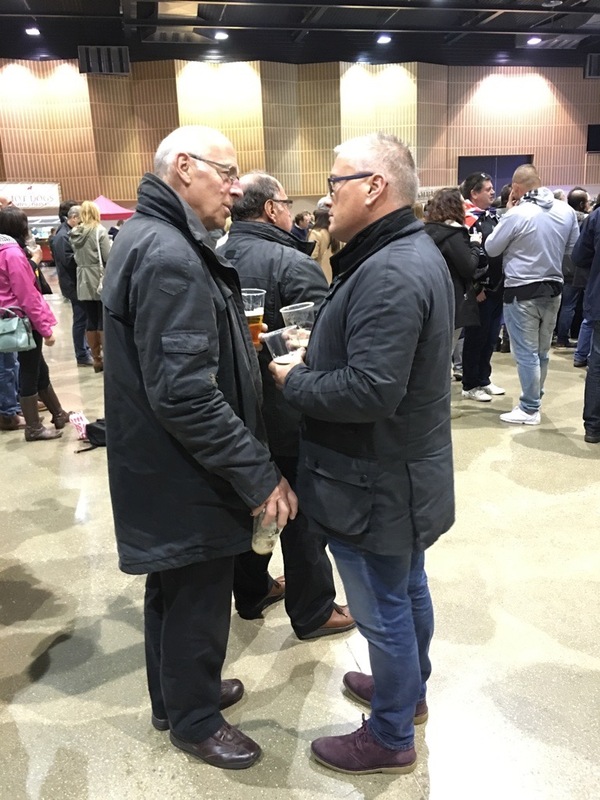 Following Brians successful outing he confirmed that he achieved the goal of raising £2000 and actually achieved £2,029.23 for the liflites charity.